A 19 Jesus therefore answered and was saying to them, “Truly, truly, I say to you, the Son can do nothing of Himself, unless it is something He sees the Father doing; for whatever the Father does, these things the Son also does in like manner. B 20 “For the Father loves the Son, and shows Him all things that He Himself is doing; and greater works than these will He show Him, that you may marvel. C 21 “For just as the Father raises the dead and gives them life, even so the Son also gives life to whom He wishes. 22 “For not even the Father judges anyone, but He has given all judgment to the Son, 23 in order that all may honor the Son, even as they honor the Father. He who does not honor the Son does not honor the Father who sent Him. D 24 “Truly, truly, I say to you, he who hears My word, and believes Him who sent Me, has eternal life, and does not come into judgment, but has passed out of death into life. D’ 25 “Truly, truly, I say to you, an hour is coming and now is, when the dead shall hear the voice of the Son of God; and those who hear shall live. C’ 26 “For just as the Father has life in Himself, even so He gave to the Son also to have life in Himself; 27 and He gave Him authority to execute judgment, because He is the Son of Man. B’ 28 “Do not marvel at this; for an hour is coming, in which all who are in the tombs shall hear His voice, 29 and shall come forth; those who did the good deeds to a resurrection of life, those who committed the evil deeds to a resurrection of judgment. A’ 30 “I can do nothing on My own initiative. / As I hear, I judge; and My judgment is just, because I do not seek My own will, but the will of Him who sent Me. "The manifestation of aesthetic phenomena in Scripture cannot be brushed aside as an unnecessary luxury. The aesthetic exposure is broad and extensive, involving vast swaths of narratives and poetry. God used a complex of aesthetic patterns as He revealed Himself in Scripture." 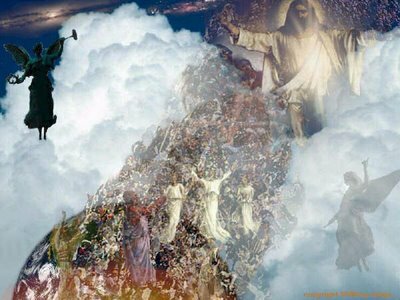 Revelation 14:9-11 – Smoke Rising Forever and Ever?